In 1768, Jacob Kimball moved to the shores of Long Lake in North Bridgton, building a store and providing boat service from Standish, at the southern end of Sebago Lake. Jacob Stevens soon followed, building a sawmill and gristmill on what became Stevens Brook in the center village. Ten power sites on this short brook ran lumber, textile, and other mills, as well as a tannery. 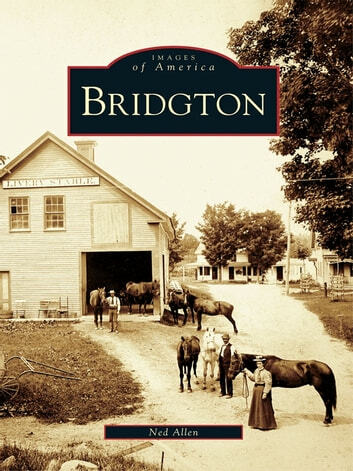 Bridgton became the area�s commercial center as retail stores and businesses sprang up to support the many mill workers and farm families. The first train on the narrow-gauge Bridgton and Saco River Railroad chugged into town in January 1883. Tourists and artists soon discovered Bridgton, and today the town remains a diverse mix of creative, hardworking people.